What the hell is a buyer persona? How to build one in a few easy steps? Why understanding who is your buyer persona is one of the most important components of any successful B2B lead generation strategy? Then buckle up and read on, because we'll tackle all those topics and even more! In this article I will explain why it's essential to build your buyer persona when it comes to B2B lead generation. In fact I'll give you the best actionable tips and a free template to create your own buyer persona. This exact process has helped us keep a fast growth rate and go from 0 to 8000+ customers in less than a year! A buyer persona in marketing, or sometimes called Ideal Customer Profile, is a fictional character created to represent your target audience. When building a persona it's important to add as much information about the target as possible. Thanks to that information, you're able to create a scenario regarding the behavior of your target toward the service/product you're offering. Let's take a very simple example to illustrate why this is essential! Let's say that you're an entrepreneur or that you're working in a startup. At the moment, you're looking for a new bank for your company. You can choose between two banks - Bank A and Bank B. The first one is called the "Bank for Everyone". 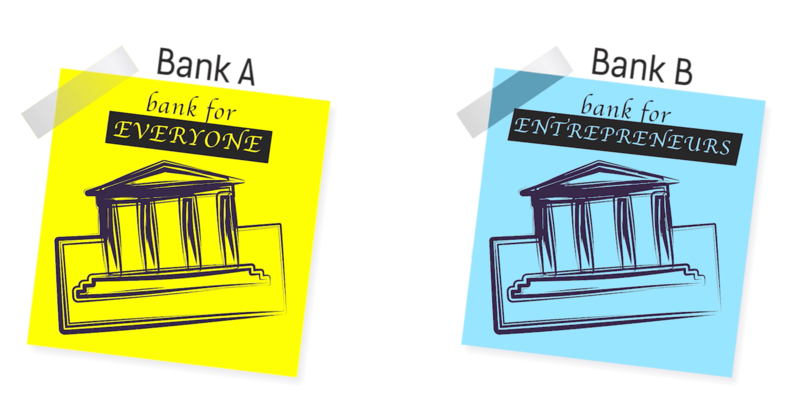 The second one is the "Bank for Entrepreneurs". I guess that you'll go with "Bank for Entrepreneurs", right? They've clearly defined their buyer persona and, as a result, their message resonates much more with their target audience. To sum up, the goal of personas is to be able to clearly understand who's your target and what are the problems that you need to address. Once you have a solution for their problem, it becomes way easier to sell your product/service. Building personas is a thorough process though. You need to answer all the questions that arise here. How to build your buyer persona for marketing? Understanding that and using the right language is essential. Who is the person I'm targeting? What's his/her typical day like? Once you've answered these questions, it's time to give life to your persona with a name and a photo. 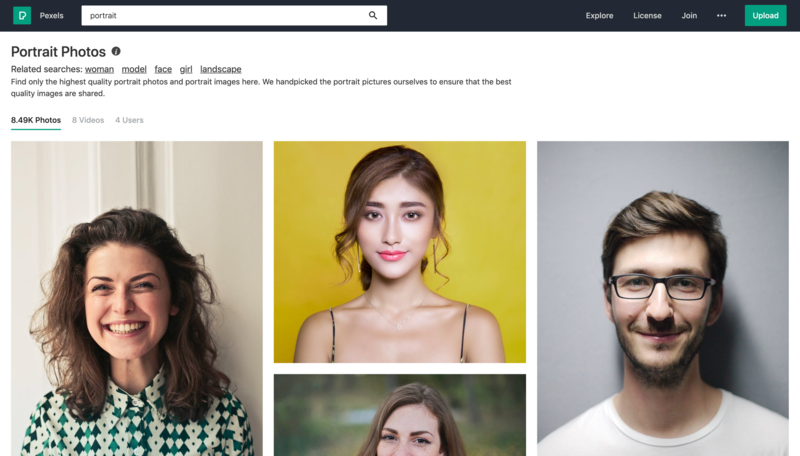 For visuals, you can find some good ones on pexels - a copyright free photos library! 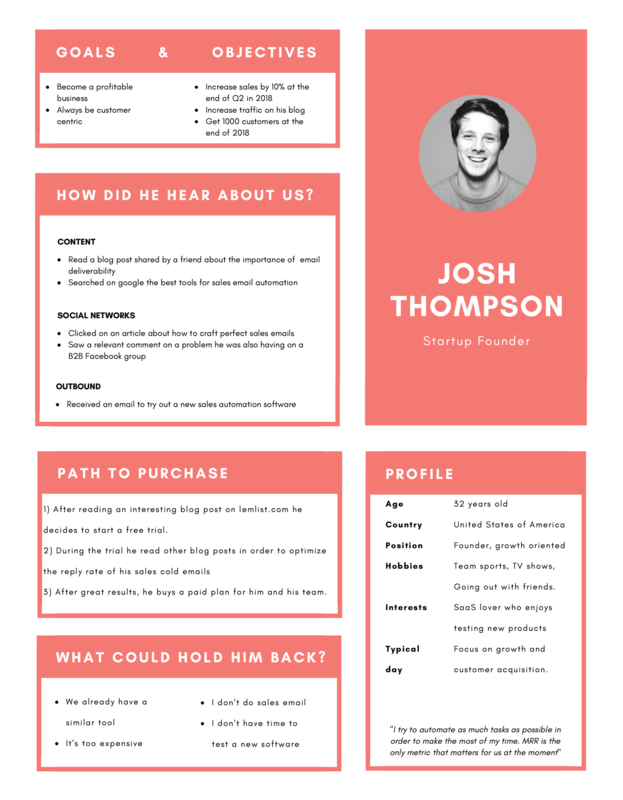 At lemlist, we decided to name our persona Josh Thompson! 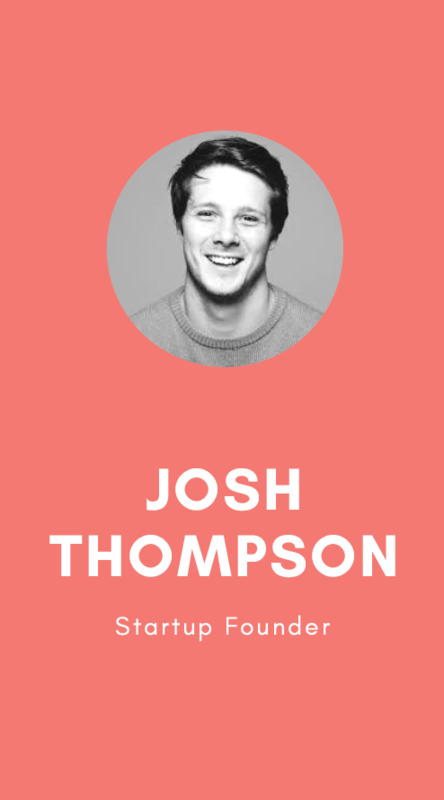 Josh, a 32-year-old US citizen, is an entrepreneur and a startup founder. He's also pretty tech savvy and is always looking for new innovative tools to boost the growth of his company! The goal of this part is to really get as much information as possible about your buyer persona in order to create a connection. Now that we have a rough idea of what our buyer persona looks like, it's time to find out what are the goals and objectives of your persona! Goals and objectives are often used interchangeably but they actually have a different meaning. Goals are statements you make about the future for your business. 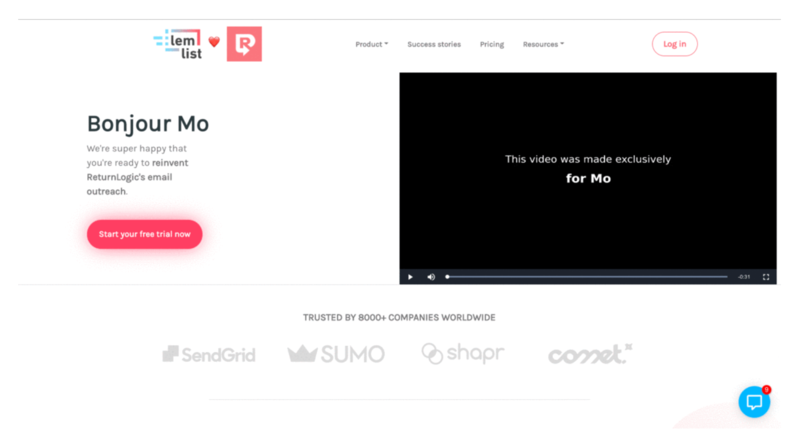 We want to help entrepreneurs, startups, and agencies send sales cold emails that get more replies through the most easy to use email automation platform. Goals are extremely important because they usually align with all the business strategy. Objectives are the exact steps that your persona needs to take to reach his/her goals. Objectives are measurable and quantifiable. They are also associated with a timeline. "We will increase our number of customers by 200% each quarter of this year." Understanding the goals and objectives of your persona will allow you to spot more easily what are the pain points of your audience. That way, you can tailor the message that will resonate with them. Why would your buyer persona want to use your product or service? In this part, it's time to give life to your persona and provide them with the power to express themselves. To do so, you'll have to play the famous good cop / bad cop scene. In essence, you'll have to get some testimonials expressing why your buyer persona would use your product/service? Try to use the same level of language your persona would use. Focus on the pain points identified in the second step. If you already have customers, you can ask them for a quick review or conduct user interviews to get a sense of what matters most to them. In case you wondered how do you build buyer persona without conducting surveys and interviews, this is one of the ways to hack it. How do I build buyer persona without conducting survey and interviews? If you're a software company, you can use websites like Capterra or G2 Crowd. But enough bragging! The goal is to really understand what makes you stand out from your competitions! Afterwards, it's time to take a different approach to think of all the different points that could hold back your persona from using your product or service. By doing so, you'll be able to adapt your message so you can increase your conversion rate. Knowing what could hold back your target is key because you can come prepared with the right answers. For example, if someone tells us that lemlist is too expensive, we could say that it's not about the price as it is about the ROI or the value that our tool will deliver to their business. You could also prepare some analogy that your target could easily rely on. Price is never an issue. You: let's say that there's a million dollar in a suitcase with your name on it at the very top of a tree. What would you do? You: Now, what you didn't know is that there are plenty of dangerous deadly spiders on this tree that will attack you if climb on those branches. However, you have a big ladder that you could use to go straight to the top! Would you use it? You: In the end, the million dollar suitcase is what your business could become. The deadly spiders are your competitors. And our software is the ladder. Are you sure the price is still that important to you? To come up with this kind of stories, you really need to understand your target audience. Now that you have a clear idea about your persona, it's time to understand, what we like to call, the path to purchase. How will your persona decide to purchase your product/service? In this step, you have to think about all the different steps that will lead your persona to became a paid customer. This process should include the moment where your prospect goes from having needs and translate them into objectives. Let's take the example of our buyer persona Josh, founder of a startup. His goal is to grow his business in order to have as much traction as possible for the next round of fundings. His objectives are to increase his sales by 10% by the end of Q2 and get 1000 paying customers at the end of the year. To do so, he needs to automate as many tasks as possible so he can focus on what matters the most, closing deals. 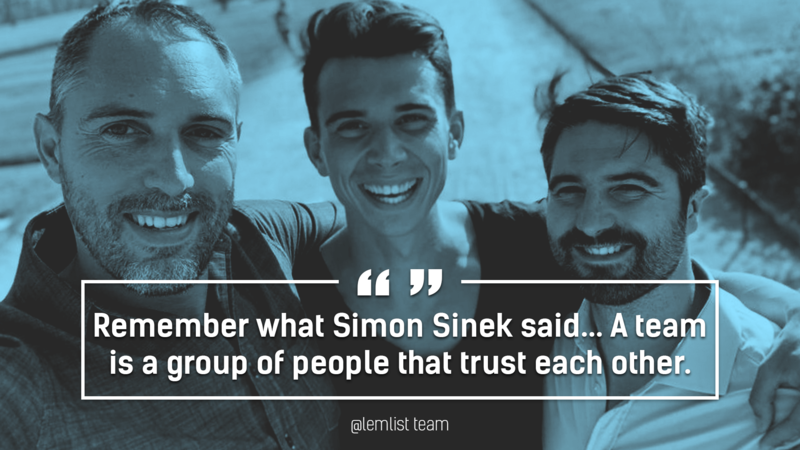 So how did he find out about lemlist and decided to join our community of amazing customers? 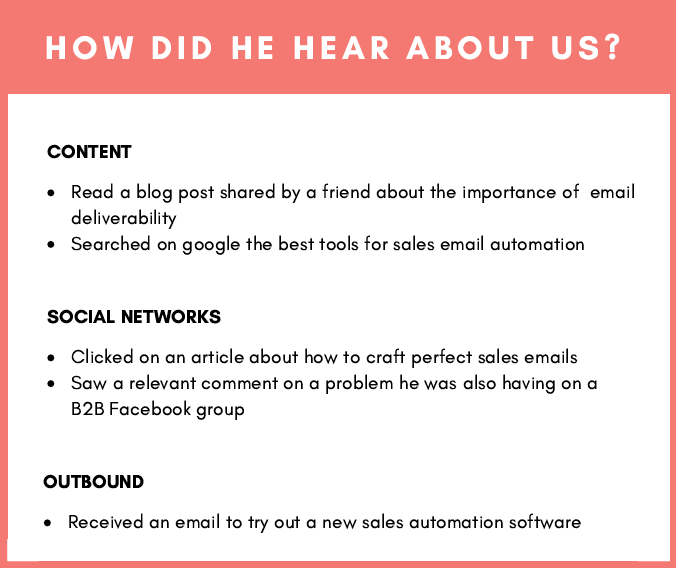 When looking for articles about cold emails and automation, he found out an interesting blog post about buyer persona and decided to start a free trial (rings a bell 😉). 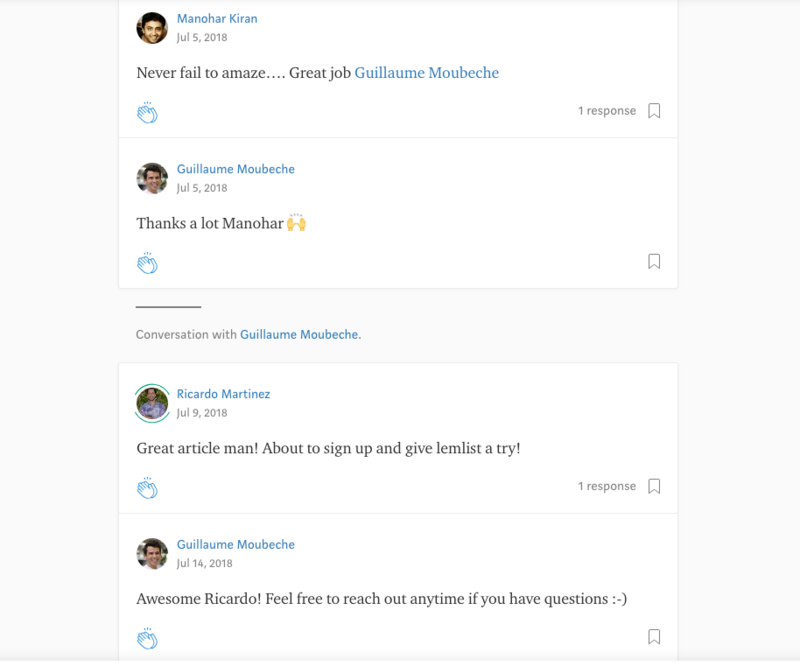 During the trial, he read other blog posts in order to optimize the reply rate of his sales cold emails. After obtaining great results, he decided to purchase a paid plan for him and his team. Finding out how your potential customer found out about you in the first place is key to map out the path to purchase. Having some mapped out will really help you build stronger relationships with your potential customers and increase your sales. How to use buyer personas for marketing? First of all, I wanted to tell you something: Well done! If you've read the article until now, it means that you're serious about your marketing strategy and ready to skyrocket your company's growth! So what can you do thanks to you buyer persona? It's highly important that your team members always remember who are your target personas. So make sure to share it with your entire team so they can always adapt their messaging to the right persona. Whether you're writing blog posts, ebooks or designing Facebook Ads, you need to know who's your audience so you know what is the right tone to use. For example, if you're using humor in your content, you'll definitely use different references regarding your audience. Similarly to the content creation part, when crafting good sales email copy, it gets easier when you speak the language your audience is speaking. The message on your website is key when it comes to the conversion rate. By doing multiple landing pages and testing them you'll be able to know which message works best for your specific audience. 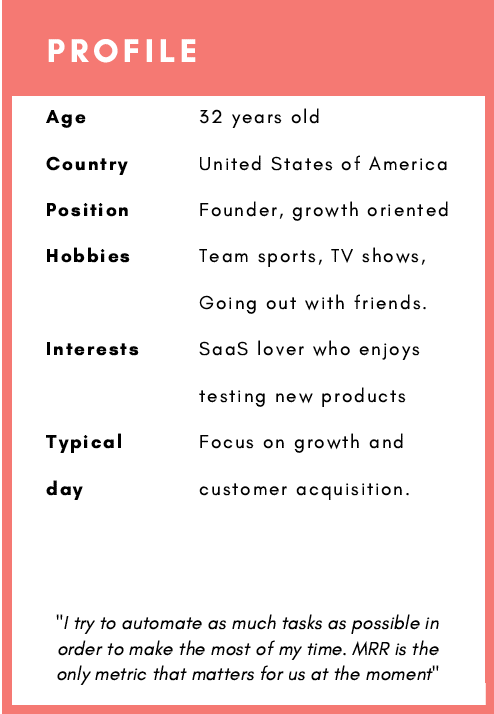 If your wondering how do you develop buyer personas for a startup without existing clients, the advice I can give you is to either find beta users and biz dev with them, or to research and join every single Facebook Group, Reddit conversation or Quora thread. You will be amazed how your buyer persona will look like after you do all that. Thanks to personas, you'll see that it will become much easier for you and your team to create appropriate content and ads. Your message will also resonate much more with your targeted audience. Ultimately, this is how you get your conversion rate to increase. If you liked this article, please share it with your circles and feel free to ask me any questions in the comments!